It pays to be sure of the rules when you get your tickets. MISTAKE #1. You don't buy enough tickets. Sure, you can win a jackpot with just a couple of tickets - that's what luck is and there'll always be someone who profits. But to win regularly and win big, you need to take the game seriously. Forget about playing with just 3-5 tickets and aim for much more. That's where the Silver Lotto System's LottoPredict helps... there's a column there that recommends how much to play each game. Use those amounts as your absolute minimum. MISTAKE #2. You buy tickets for 1-star games. LottoPredict has calculated the win odds for every game on the chart using star rating, and 1-star games are the hardest to win easily. Make sure you play a 2 or 3-star game and back it up with PRO to make doubly sure. MISTAKE #3. You buy online. Nothing wrong with buying online if there's no other option, but be aware that websites go down or it's possible your numbers may not be correctly registered. It's always better to buy where have your purchases verified - a lottery store - to be extra sure. After all, you have millions riding on a set of numbers, so make sure every step of the process is verified. MISTAKE #4. You don't keep your tickets safe. MISTAKE #5. You buy from a lucky store. Sorry - there is no such thing as a lucky lotto shop. It is simply a place where more people have bought their tickets than anywhere else. The System you use is more important than where you buy your tickets. So you're wasting a lot of traveling going to these stores. Any store will do. MISTAKE #6. You buy less because you didn't win the last game. Many players look on the lottery as a business. When they don't win enough or spend too much, they buy fewer tickets for the next game. This is wrong. The best way to play to win is to spend the same amount each time regardless of whether you've only won a little. It's important to be in every game - missing out could be fatal! MISTAKE #7. You buy at the wrong time. MISTAKE #8. You don't put your tickets in a safe place. Keep your tickets in a pouch or folder. I was standing behind a lady in my lottery store who pulled out a very crumpled lottery ticket. It had to be put through the machine twice because it couldn't be read properly. Your tickets have to last a while, so make sure they are protected. I use a custom cover provided from the lottery store. MISTAKE #9. You buy too close to the deadline. It took only seconds for a Montreal lottery player to lose a $27 million jackpot. 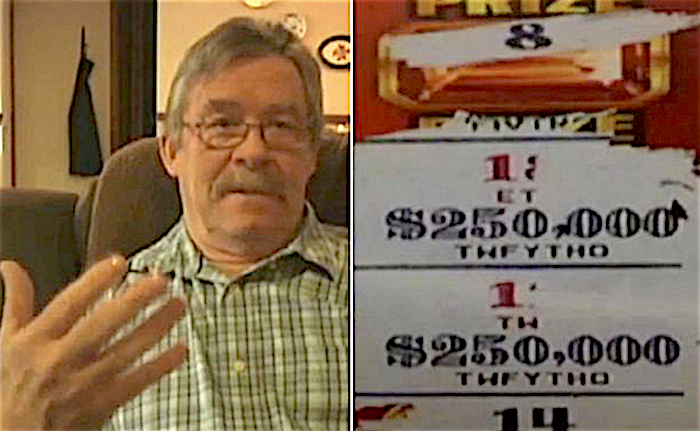 He had the right numbers and his ticket was correct in every detail except one... he bought it 7 seconds too late. Don't miss the deadline. Check it out from the lottery's website and make sure you play well within the cutoff point. Even better, buy your tickets a few days ahead - you'll never have to worry about missing that game.